Quincy the chameleon just can't seem to blend in. Will he ever find a way to embrace his uniqueness? 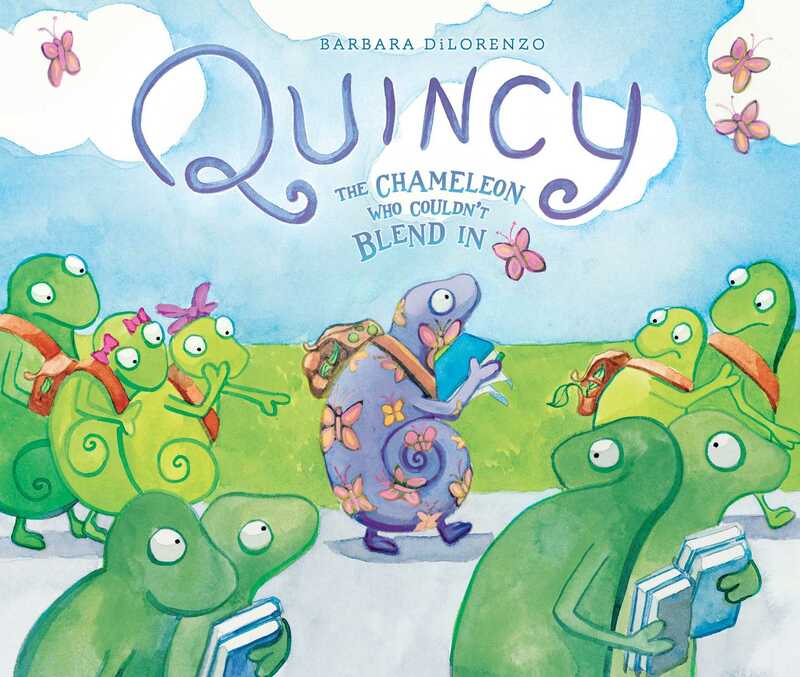 Quincy wants to love chameleon school, but he's not very good at blending in. No matter how hard he tries to stop it from happening, all of this thoughts keep popping up on his skin! In camouflage class, the leaves he's supposed to blend in with remind him of rocket ships, so his skin changes to look like outer space. And when it's Quincy's turn to read his poem out loud, he realizes he has to pee-which the whole class realizes, too, when rolls of toilet paper appear on his skin! The only thing Quincy loves about school is painting during art class with his favorite teacher, Mrs. Lin. But can painting help him find a way to blend in?